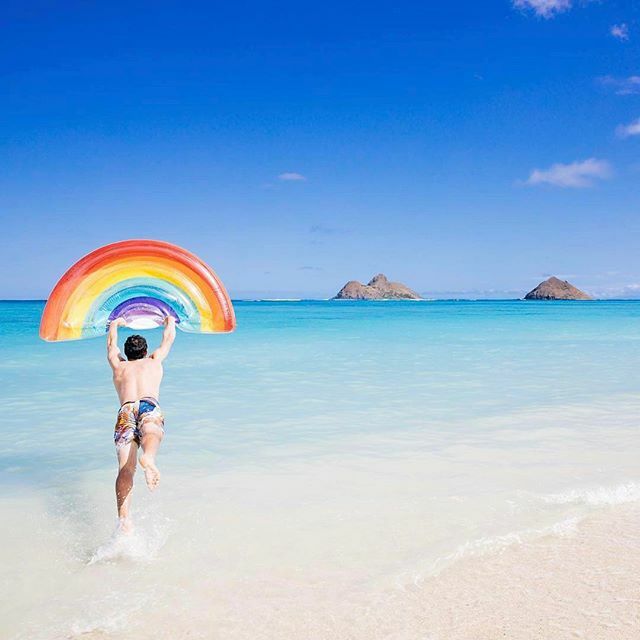 Sometimes you just need the love and support of a rainbow to keep you afloat in life and in the pool. 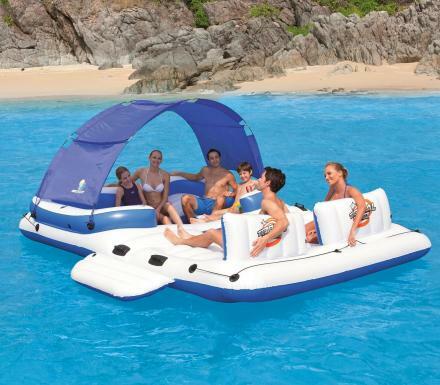 This inflatable pool float looks just like a majestic rainbow, and is sure to be a conversation piece each time it's used this Summer! 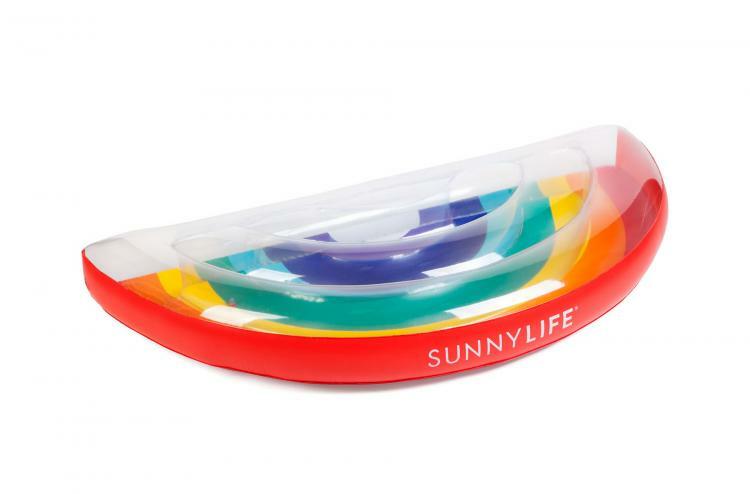 Made by SunnyLife, an Australian based company that makes high quality outdoor products, the Rainbow Pool Float is just one of their many unique pool toys, with others including a giant inflatable golden swan, an inflatable cactus, an inflatable whale that also acts as a sprinkler, and more. 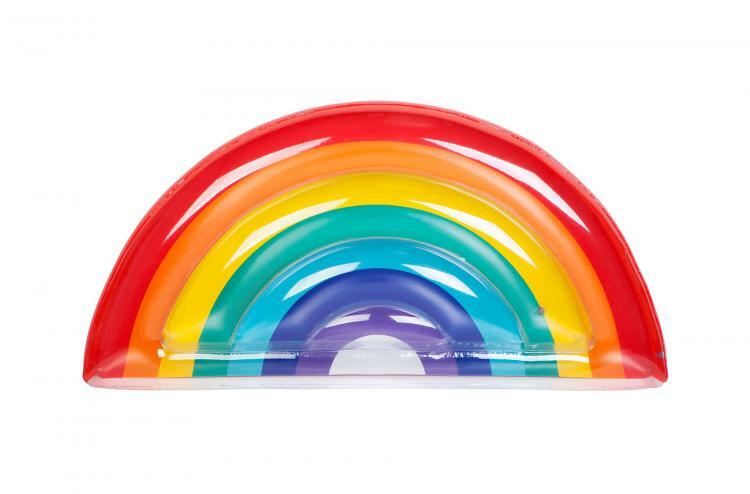 The inflatable rainbow pool float is made from 0.25MM thick PVC plastic, includes a repair patch in case of punctures, and when fully inflated measures 70 inches long x 35 inches wide x 7 inches thick. 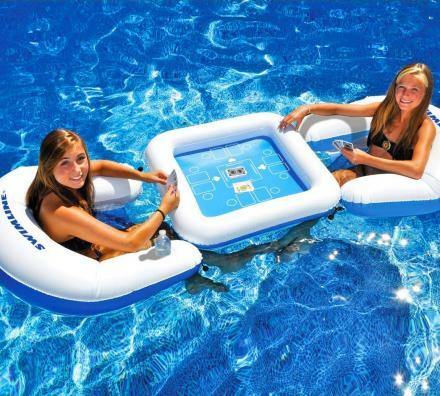 If nothing else, the rainbow pool float certainly makes for a great picture opportunity.